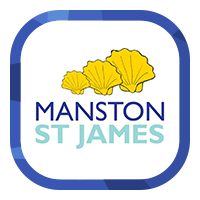 Welcome to the website for Manston St James Primary. We hope to use this website as one element of communication in our drive to fulfil our mission ‘To work in partnership to educate, nurture and empower.’ We hope the website will enable you to discover the ways in which Manston St James Primary stretches pupils academically, supports them pastorally and helps them to develop socially and spiritually. At Abbey Multi Academy Trust we are passionate about making a difference to the lives of all our children. They are at the heart of everything we do and we strive to inspire learners and change their lives as a result of our educational provision. We want all our schools to be the best they can be and for each child to discover the skills, abilities, talents and interests that lie within them as well as giving them safety, security and the skills they will need to be active, responsible citizens and happy, caring adults in the future. Our aim, quite simply, is to do the very best for children and recognise their individuality and uniqueness. Childhood is a special and wonderful time and no-one gets a second chance at it. The primary and secondary schools within Abbey Multi Academy Trust are prepared to truly collaborate. The schools have a desire to question, change and innovate to ensure that what they provide enables our children to become successful learners, confident individuals and responsible citizens. We work as active partners both formally, as part of our growing Multi Academy Trust and informally, in the collaborative work we do with the Diocese, local universities, local and national business and our local community. I welcome you to explore our website or visit our academy where you can learn more about our aim to work in partnership to educate, nurture and empower. I have great pleasure in welcoming you to the Manston St James Primary Academy web site. Our school is a two form entry primary school located in East Leeds. 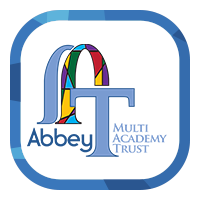 Founded over 150 years ago and recently joining Abbey Multi Academy Trust, the school has a very good reputation and is a popular choice with parents. At the heart of our school is our strong Christian ethos, which supports our aim to provide learning opportunities that enables our children to grow and achieve their full potential. We therefore set high standards in both personal achievement and behaviour. All this is set in a structured, caring, happy, safe and purposeful environment that nurtures all children regardless of background. Manston St James is blessed with many talented and dedicated staff that place an importance on the welfare of the children in their care. It is also characterised by the active support of parents, pupils and governing body. This web site is a guide to our school, which we hope will be informative and helpful. If you have any questions about the curriculum on offer or pastoral matters, please don’t hesitate to contact me.